This app is awesome for cell phone consumers, but bad news for us cell phone repair shops. Actually, there isn’t a self healing cell phone out yet but it’s getting close. The next thing we’d be worrying about is a morphing cell phone so that we won’t need to get a new every time. 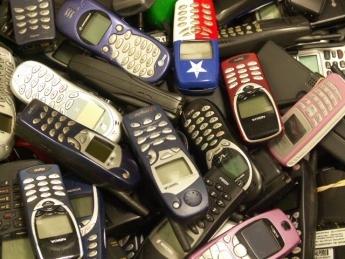 Imagine that though, self healing cell phones means a decrease in e-waste and less to spend on repairs or replacement. Nissan Motor Co. Has licensed its Scratch Shield paint to mobile phone company NTT DoCoMo, which will used the paint that heals itself from minor scratches on phone (in the Japanese market). Nissan’s paint was introduced commercially in late 2005 developed along with the University of Tokyo and Advanced Softmaterials Inc. The paint was originally used on certain Nissan and Infiniti vehicles around the world (Nissan Murano crossover, Nissan 370Z GT Pack and Nissan 370Z Ultimate). The paint is made with an elastic resin, more scratch resistant than other paints and self heals fine scratches. The paint reacts with the sun and outdoor temperatures which mean healing time will vary from a few hours to a week. But! The healing also depends on how deep the scratch is, if it breaks through the clearcoat, the scratch wont repair. In Hattiesburg, Mississippi, self healing materials were found in crab shells with a little time in the sun. Researchers at the University of Southern Mississippi led by Professor Marek Urban created a coating material that repairs tiny scratches when exposed to ultraviolet light as reported in the journal Science. They combined polyurethane paint and a mixture of chitosan molecules which is found in shells of crustaceans such as lobsters and crabs, and ring-shaped molecules called oxetane. During experiment, the researchers made small scratches just visible to the naked eye and the oxetane rings would split. The loose ends are chemically reactive so when exposed to sunlight, the UV light causes the chitosan molecules to react with the loose ends and seal up the split beginning at the sides of the scratch closes together. The small scratches healed themselves in only 30 minutes. The only catch is that they only work once, on the same spot of course. But that’s still really a big deal even if it only heals once; at least you get one chance before you replace the item. In their tests, the new system can repair circuits in a fraction of a second, with the majority returning to 99% capacity. The system is autonomous, meaning that it can be used to repair circuits even when mechanics don’t know where the broken circuit actually is, or are unable to get to it easily.